The operation usually takes about two to here hours and is performed in an outpatient setting under general or local anesthesia with sedation. During the operation, an incision is made behind the ear to hide any obvious marks of surgical intervention. Multiple, strategically placed, sutures are placed to shape the cartilage into normal folds, which were missing pre-operatively. The cartilage is then reshaped using techniques of scoring, suturing, limited removal or combinations of the three. To reduce the swelling or collection of fluid beneath the skin, you’ll have a dressing on your head to put gentle pressure on your ears and maintain their new position. After about t two or three days, the dressing will be removed. All of your incisions will be carefully closed with stitches. Some of the suture will dissolve while other sutures will require removal in 7 to 10 days. You’ll be able to wash your hair as soon as your head dressing is removed on the second or third day after surgery. Most patients experience very little pain following their procedure. 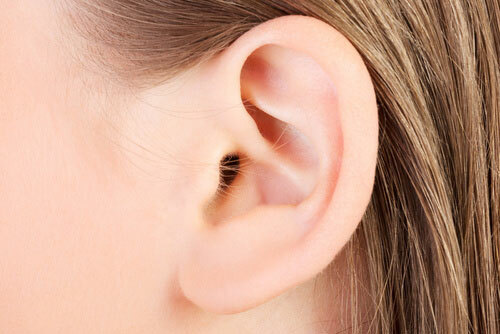 There will be slight discomfort or soreness– mostly when you bump or move your ears. This will be for about a week or two. You’ll notice some swelling in the ears for two to three weeks following surgery. Most bruising will resolve in the first week or two. During this time, you can cover your ears with your hair.